"That's What Friends Are Fooor..."
Cue the Dionne Warwick, people. This is a post with purpose. See this awesomely humiliating photo, here? 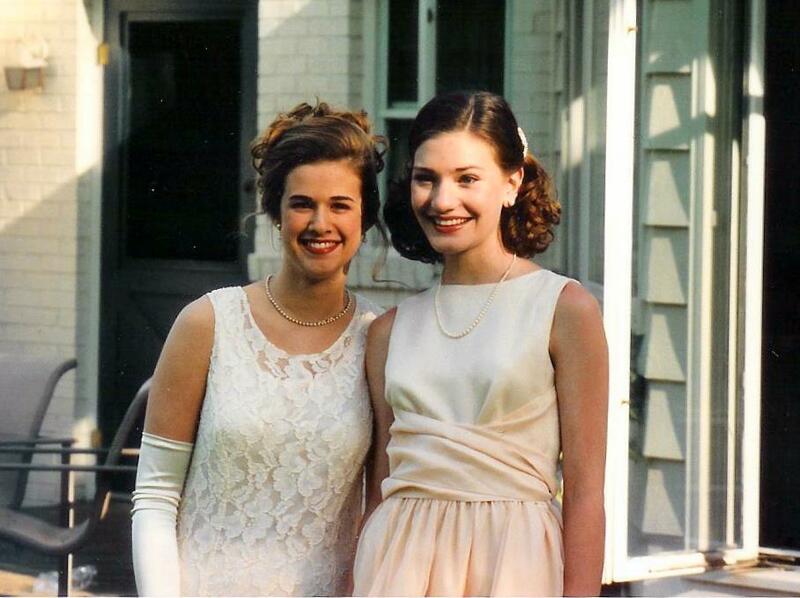 That’s me on the left, and Elizabeth, one of my dearest friends in the whole wide world, circa 1995, right before our junior prom in Barrington, Illinois. See how effortlessly Elizabeth pulls off the vintage look, with her high-waisted dress and perfectly waved bob? And see how I’m failing at my efforts to channel Winona Ryder in Reality Bites and instead resembling a pubescent drag queen? Yeah. That’s all you really need to know about our friendship. 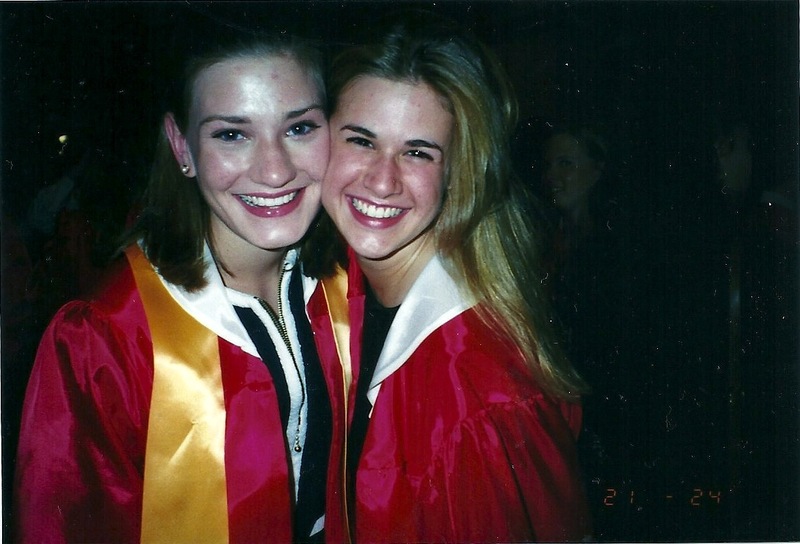 Well that, and I remember some douche-y jock-type once inferring that we were probably lesbians because we always hung out together and neither of us ever had boyfriends. But that is neither here nor there. Elizabeth and I are the sort of friends who can always pick up right where we left off, no matter how long it's been since we've seen each other. Maybe it has something to do with being so close during a period when my eyebrows looked like that. But anyway, after several years of not seeing each other and barely keeping in touch, we both ended up thousands of miles away from Illinois, in Northern California, me in San Francisco and her up in Napa. How funny is that? Total destiny, I'm telling you. A couple weeks ago, we bathed our toddlers in the same bathtub and almost died from disbelief as our 16-year-old selves clashed with the present. We still have so much dorky fun together. Elizabeth is perfection, basically, and the best sort of friend a girl could ever ask for. I’ve always admired her for her intelligence, her humor, and now that we’re all grown up and married, her fabulous taste in husbands. Now this handsome man right here—this is Brandon Sharp. I like to think of him as Mr. Elizabeth, but really he is an entity all his own. 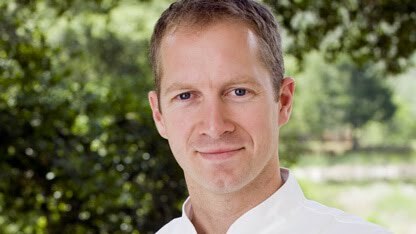 He’s the executive chef at Solbar, the phenomenal restaurant at the Solage resort in Calistoga, California. He’s a Michelin-starred chef with the most remarkable culinary sensibility. He also happens to be one of the most humble people I’ve ever met. Someone who can seamlessly put a shrimp and watercress salad with mint-thyme crema and bacon-cheddar sliders on the same menu probably deserves to be a little cocky. But not Brandon. He cooks his heart out for more hours a week than I can even fathom, and still manages to be a star husband and father to the two almost illegally adorable little boys he has with my dear Elizabeth. Whenever I visit them and see that little family together, bonding over their love of food and feeding people, it’s nothing short of inspiring. As you can tell, I am a rabid Sharp Family Fan. Ergo, I’m not about to miss an opportunity to let the world know how spectacular Brandon Sharp is. And guess what? You, darling reader, can help me spread the word. Brandon is currently in the running for Food & Wine's The People’s Best New Chef award in the Pacific region. Now, I personally don’t really know if you can call a guy who’s been working his tail off in kitchens for more than 15 years a “new chef”, but he certainly fits the description of a hot, young chef who deserves to get some serious attention in one of the most important food publications out there. And come on—LOOK AT THAT FACE. I’d much rather have that on my nightstand than another glossy photo of shortribs or something. Get on over to CNN’s Eatocracy page for Food & Wine’s The People’s Best New Chef 2011: Pacific. Scroll down past the profiles (pausing to enjoy the photo and blurb for Brandon), and click the little button next to Brandon’s name. That’s it. No logging in, no e-mail sign up, nothing. Easy peasy. Vote for an excellent chef, an awesome husband and father, and one of the good guys. Especially one that’s married to the first person with whom I ever got totally, completely wasted. Thank you!